England beat Australia 37-18 to end a tumultuous 2018 with a sweet victory over an Australia side in turmoil. Tries from wingers Jonny May and Joe Cokanasiga, as well as a flying solo effort from Elliot Daly were enough to ensure that England will head into a World Cup year with a successful Autumn International series under their belt. England’s first-half performance against New Zealand was remarkable, and though it ended in defeat, Eddie Jones was hoping for a similar opening to the game. He got it. Jonny May has been a shining beacon of improvement during England’s difficult year, and it was fitting that it was the Leicester winger who crossed within two minutes to propel his side into the ascendancy. 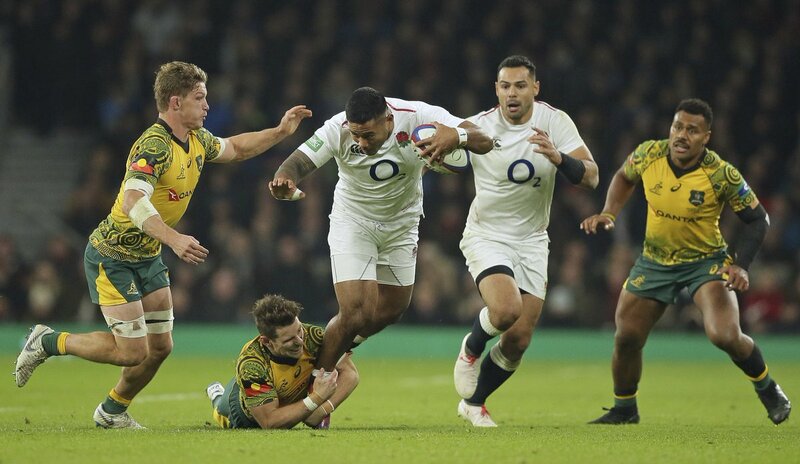 After Kyle Sinckler and Sam Underhill combined from the opening kick-off to force Australia backwards, Ben Youngs capitalised to charge down Dane Haylett-Petty’s clearance kick. From the resulting five-metre scrum, England’s pack flew forward, creating an enticing blindside for May to score. Eddie Jones has made his desire for a powerful ball-carrier in his backline apparent, but for all his fresh ideas it appears that the answer to England’s attacking difficulties has been staring him in the face. England look a completely different proposition going forward with George Ford at fly-half, and for all the talk last week that the Leicester Tiger can’t cope without Owen Farrell alongside him, perhaps their over-reliance on each other is mutual as Jones’ side struggled to assert themselves in attack in the first-half. Jones has also come under heavy fire for his decision to persist with Elliot Daly at fullback throughout this series, but the Wasps flyer offered a glimpse of his attacking prowess with a sublime side-step to break the Wallabies line, though it ultimately resulted in nothing. 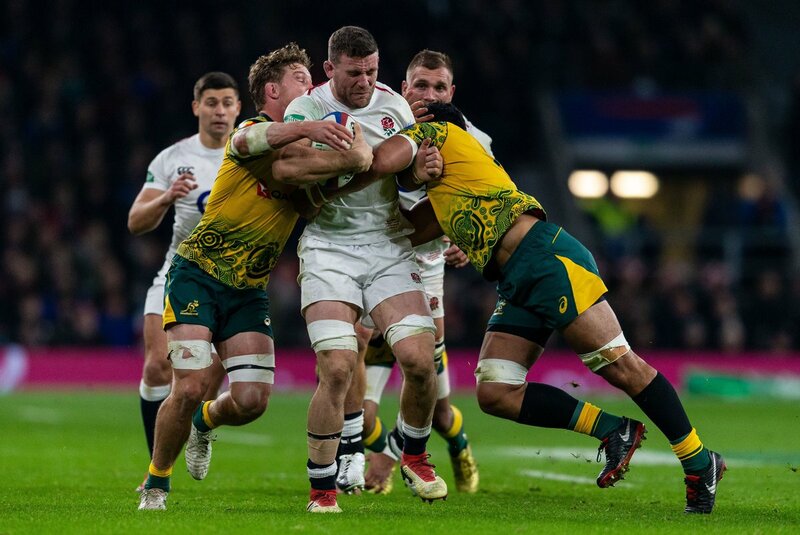 It was Daly’s opposite number who went one better – Israel Folau sprinting through the line, side-stepping Ben Youngs sprinting over the whitewash. Michael Cheika has experimented with playing Folau at wing and centre in recent months, but playing at fullback allows one of global rugby’s finest talents to roam around and create something from nothing as he did against England to close the scoreline to 13-10. Australia were on the rampage, and with the clock dead, Izack Rodda surged through and was only centimetres from the try-line when Owen Farrell stopped him with a questionable tackle. It appeared as if Australia should’ve been awarded a penalty try for Farrell’s no arms tackle, but the referee adjudged it to be legal. Nevertheless, England were called offside in the following phases and Matt To’omua slotted the penalty to level the scores at halftime. England have been markedly improved after the interval this autumn, and they started the second-half in similar fashion to the first, with Daly screaming through from the half-way line to score. Farrell’s conversion gave England a seven-point lead. England were dominating, and Joe Cokanasiga offered yet another glimpse of why Eddie Jones was so eager to plunge the Bath winger into the international fold. With scrappy handling allowing Australia to eradicate England’s overlap, Cokanasiga smashed Haylett-Petty to one side and finished with ease. Cokanasiga’s fun wasn’t over. Only minutes later he took a To’oumua high ball with ease on the halfway line, before screaming down the field, stopped short of the try-line by just inches. With the scoreline at 30-13 and only 12 minutes left, Jones could bring on the man he’s waited for during his reign as Head Coach – Manu Tuilagi. The Leicester centre was dynamic and powerful off the bench, and adds a separate dimension to England’s midfield. Tuilagi was pivotal in creating a gap for Owen Farrell’s try in the closing stages, and though Israel Folau crossed with the clock dead, it was a resounding victory for England.